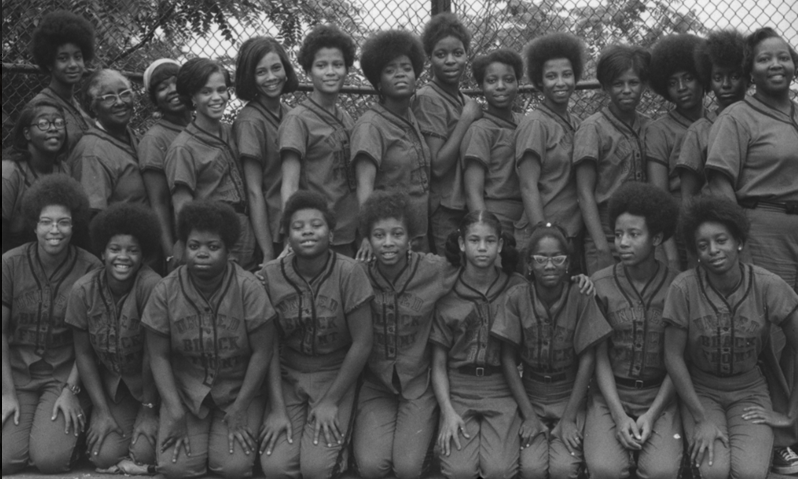 The Satellites softball team, early 1970s. 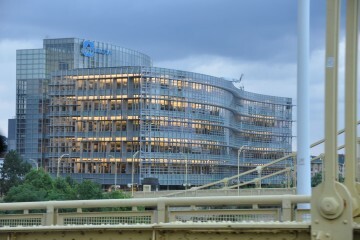 Photo courtesy of the Western Pennsylvania Sports Museum. It was dubbed the “Crossroads of the World” by Harlem Renaissance poet Poet Claude McKay, is the setting for numerous plays by Pulitzer Prize-winning writer August Wilson, is immortalized in Charles “Teenie” Harris photographs, and is home to countless jazz icons—from Art Blakey and Erroll Garner to Mary Lou Williams, George Benson. This weekend, the public can experience and explore the vibrant cultural, historic and artistic legacy of Pittsburgh’s Hill District—with a unique look at the 1970s—at a new pop-up museum open to the public. 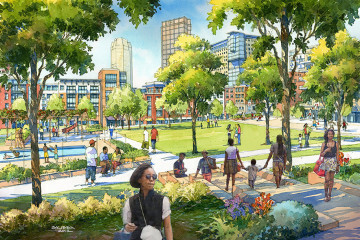 Running on Friday, November 11, from 6 to 8 p.m. and on Saturday, November 12, from 10 a.m. to 5 p.m., the multi-disciplinary project will set up shop at the Blakey Program Center at 1908 Wylie Avenue. 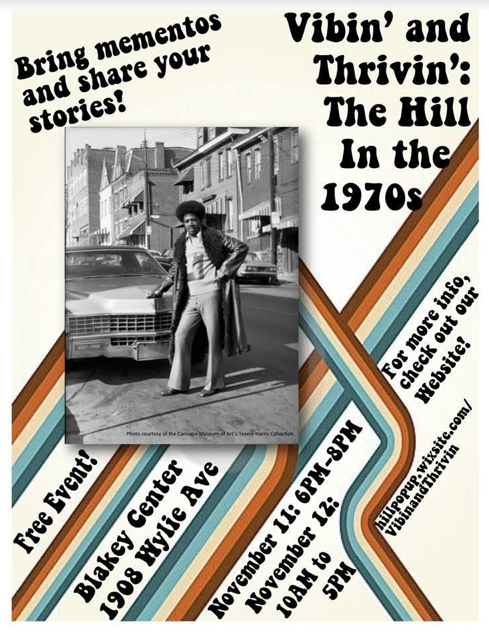 Titled Vibin’ and Thrivin’: The Hill in the 1970s, the mini-museum is the brainchild of Duquesne University and the Hill House Association. To create the museum, graduate students from the “Material and Visual Culture” course taught by Dr. Alima Bucciantini worked with artists, collectors and long-time residents of the Hill District to gather a variety of multi-media artifacts that tell the story of what the neighborhood was like during the 1970s. Visitors will view archival materials, photographs, paintings, objects, and sculptures, and can discuss their significance with members of the community. 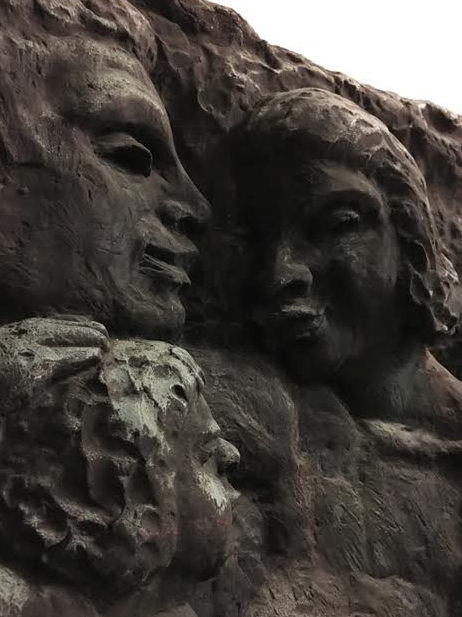 Together, bronze sculpture by Dr. Selma Burke. Photo by Kelvin Parnell Jr. Featured in the exhibition will be a bronze statue titled, Together, by American sculptor and educator Dr. Selma Burke, who founded art schools in New York City and Pittsburgh, and taught in the Pittsburgh Public Schools for 17 years. Additional displays will include photos of the women’s softball team The Satellites, and history about K. Leroy Irvis, the State Legislator from the Hill District who become the first African American Speaker of the House. In addition to world-renowned cultural figures such as August Wilson and Charles “Teenie” Harris, attendees will learn about The Freedom House Ambulance Service, the work of the NAACP, the development of Hill House, and how jitneys brought the community together. Animating a corner of the historic Pittsburgh neighborhood, the pop-up will also feature homemade soul food by Olafemi Mandley of Ola Appetit Catering, a showcase of 1970s fashions, and hands-on sculpture activities. Performing storytelling, spoken word and drumming at the event will be Hill District resident and artist Amir Rashidd. Visitors can help Hill House build a neighborhood archive by having their oral histories recorded and can work with students from Duquesne University’s English Department who will be on hand to create original “poems to order” for participants to take home. The public is encouraged to bring mementos and musical instruments that contribute to the story of the 1970s-era Hill District to share as part of the pop-up museum and festivities. Looking for more events? Check out our 10 Pittsburgh events not to miss in November and 10 great family adventures in Pittsburgh this November feature stories.